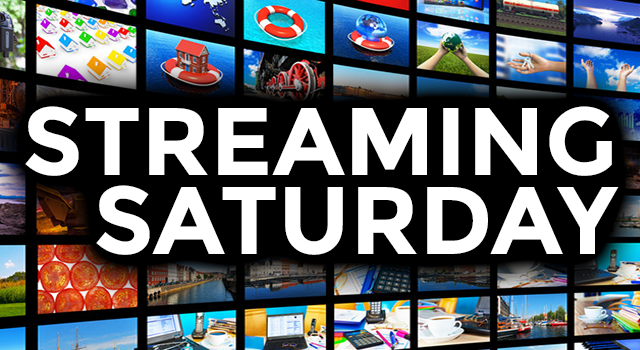 STREAMING SATURDAY: Why does the world need Hulu live TV? This past Wednesday, Hulu opened up a public beta of its live TV service. To be honest it took me all this time to stop yawning long enough to write this article. I was going to let Buckler do it but he’s such a fanboy when it comes to streaming, it seemed like he would never get it right. Who needs another live TV streaming service? I mean seriously. I figured this might be ok when it was announced what seems like a kajillion years ago but why bother now? It seems like the competitors out there do a pretty good job. Sling TV, now the old man of the bunch, is well on its way to rolling out full DVR service and the price can’t be beat. DIRECTV NOW has the channel selection, that’s for sure, even if their top tier pricing veers dangerously close to what you would pay a cable company. YouTube TV is still kind of a wild card as it’s rolling out slowly. It seems a little overpriced but then again you do get unlimited DVR. So where does Hulu fit in with all of this? For $40 a month you get all the hulu-ey stuff you got before, plus a reasonable selection of live TV channels and some limited DVR stuff. But is it just all too late? One smart thing Hulu is doing is outright admitting that the first few months are a “public beta.” So you’re going to get some glitchiness, that’s just what’s going to happen there. In other words, don’t quit your TV provider yet, and don’t get all trolled up when something doesn’t work right. It’s a beta, remember? Wait, who CHARGES for a beta? That doesn’t seem right. DIRECTV NOW didn’t call their service a beta (maybe they should have) but they got you into the biggest package at the lowest price just for the inconvenience of a few launch-day hiccups. It was a good deal and people who did it are still glad. Let me tell you something. I’ll take you back to 2008. There was this company that had an amazing idea — streaming TV shows. They got people to sign up for a FREE public beta and even gave them a branded flash drive to take with them. Yeah it was a 2GB flash drive but that was a lot for those days. They gave away 100% of their content and they advertised like crazy that it was only going to get better. By the time they wanted to start charging people, they had enough content that many people thought it was worthwhile and then they rolled out movies and original programs and a commercial-free option. That’s right, 9 years ago Hulu did it right. They built excitement around a very clearly beta product by giving it away for free until it was super stable. What happened, Hulu? I guess the people who knew what they were doing left and went somewhere else (maybe to Sling TV or DIRECTV NOW) and the current management aren’t so smart. Look, when it comes right down to it, more competition is always better. Hulu’s $40 price tag isn’t really out of line when you realize you get the rest of the Hulu service as part of that. It’s cheaper than traditional pay-TV, that’s for sure. So I guess I’m not really against the idea, just that there are already several players who are out there doing it well, and who don’t want to charge you for a beta service. Truth be told, I’m still stinging a little bit for predicting that I would never pay for Hulu, and so now the smart thing to do would be to lay back and stop making predictions. So I won’t predict that Hulu live TV will be a flop, I won’t predict that being late to the market will mean that no one even cares about them. I won’t predict that it’s too much money for too little content.